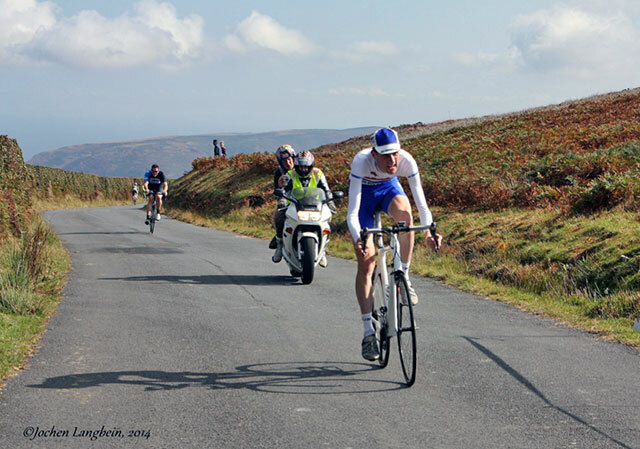 Sunday 21st September was the Tanks Direct Porlock Toll Road Hill climb organised by Minehead CC. 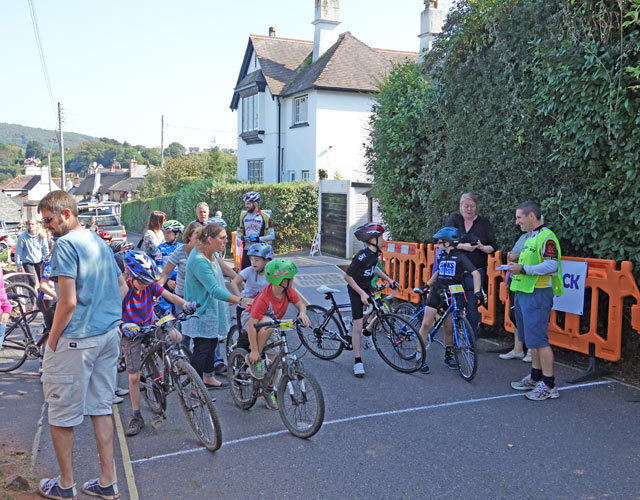 After its debut year in 2013, it has grown into quite an impressive event, with both the main hill climb and supporting Go Ride events for youngsters and the Porlock Pedal for families. Porlock Toll road was closed for the day, thanks to Porlock Estates. It meant a great venue for the race on completely closed roads. The road is a gradual 6% gradient, with a couple of hairpins. Mostly it is in the shadow of trees, though near the top you get some great views of the sea down below the hill. 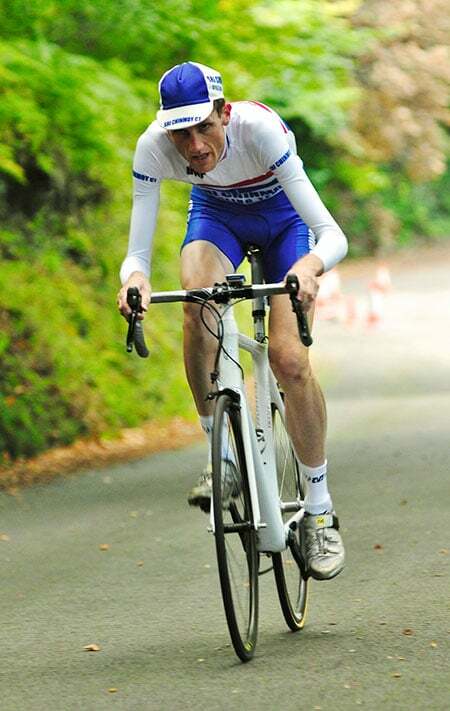 This year 101 riders entered, making it one of the biggest hill climbs in the country. The organisers have really made an effort to make it in a comprehensive event, which feels much more than just entering another race. There was a very generous £3,000 prize fund courtesy of the main sponsors Tanks Direct. There was also a starting ramp, personalised numbers and plenty of people around the HQ. 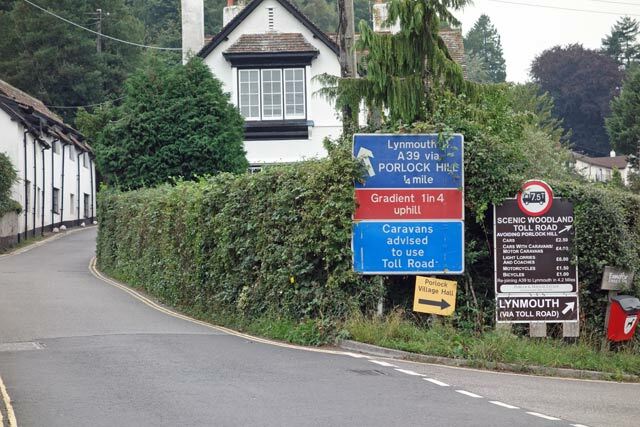 Teas were provided by the local Women’s institute, and the village of Porlock seemed quite happy to invite lots of cyclists – which is always a bonus. 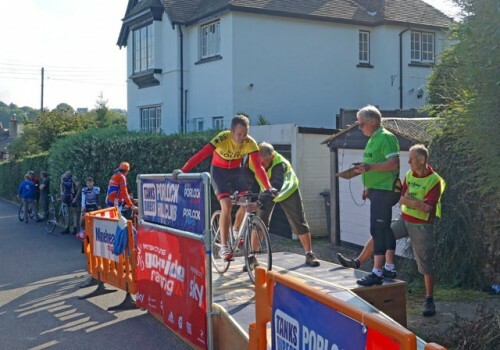 Perhaps the best aspect of the event, is to see junior riders encouraged to come along and participate in the opportunity to ride a closed road event. 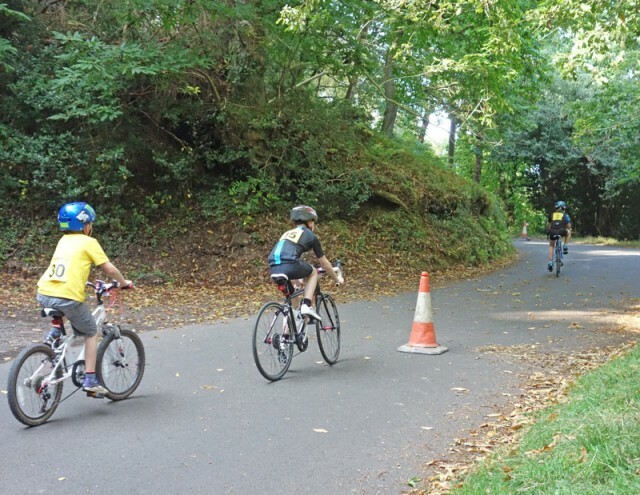 After the main hill climb and prize presentations, 40+ youngsters rode up the hill as part of the British Cycling – Merlin Go Ride event. To finish the day, a Porlock Pedal allowed all to cycle up the hill at whatever pace they felt. There was quite a buzz around the HQ with many bikes and people of all age. 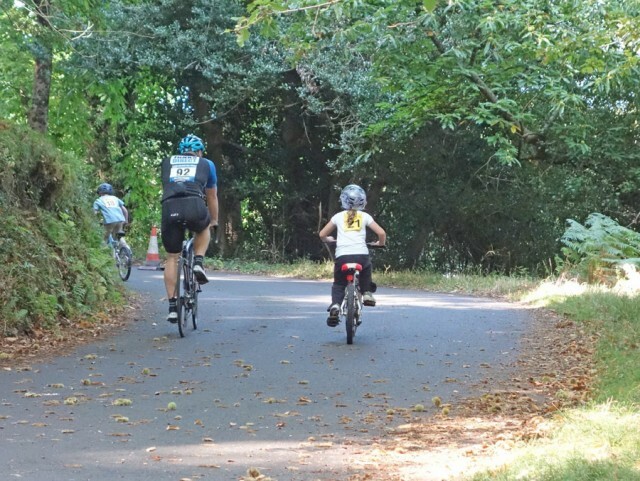 Helped to lower the average age from your typical time trial. Though a few of the usual suspects were out in force too. Good to see a few of the Bristol South riding fixed. The previous Saturday,was a very different kettle of fish, I was a lap counter at the Sri Chinmoy 24 hour race in Tooting Bec. – 10 hours spent counting runners go round a 400m track. Good fun in its own way, but as I drove through Central London late Sat night it was hard to think of doing a hill climb the next morning. 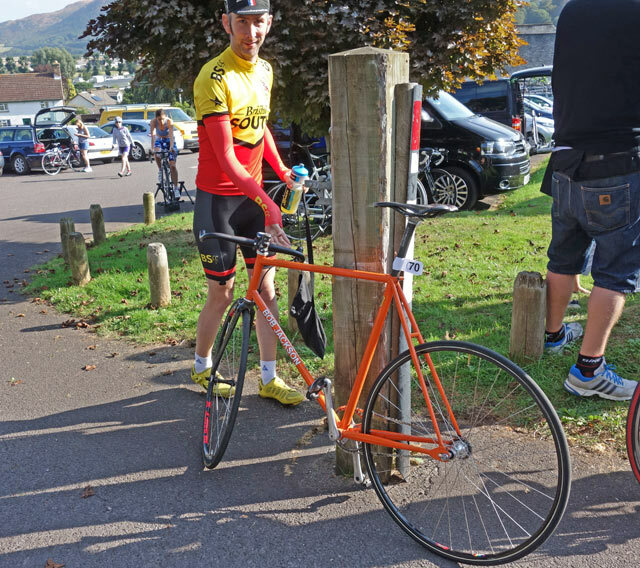 Fortunately, the weather was fantastic – not so much British hill climb weather season as a perfect late Summer day. I didn’t try anything fancy on the start ramp, I didn’t want to fall over or anything in front of so many people. Just a nice steady start, keeping in the saddle. For the first minute or two of a hill climb, I give the odd glance to the power meter – just to make sure I’m not getting carried away. Then pretty much I ride on feel for the rest of the hill. A 13 – 14 minute climb needs careful pacing. I try to pick it up a little over the last half. There are two tight hairpins which break your rhythm a little, but it does give the feeling of riding an Alpine style climb. Up at the top I was expecting a tailwind to push me along (as the weather forecast promised) but with heavy legs it didn’t feel like any extra assistance. I just kept going as the mile markers counted down the finish. I finished in a time of 14.11 – which had me worried as it was quite a bit slower than last year, but I later realised the course is a bit longer this year and maybe there was a stronger tailwind last year. 2nd place was Ben Davis in 15.3? 1st Lady was Wendy Houvenaghel. I didn’t pick up any results, but will update blog when I get some. Speaking to someone after the event, they briefly mentioned possibility of closing the A road to make it a National Championship course. 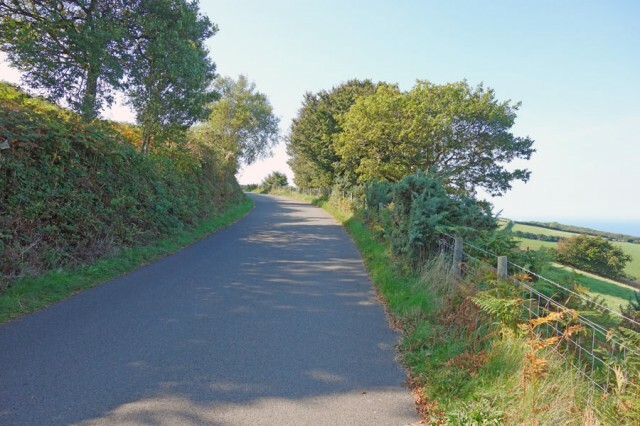 That would really be an epic hill climb championship on Porlock A road! Great ride Tejvan and blog too. But looking at Scott’s photos I can’t help noticing that Wendy’s arms are bigger than yours, lol. Great talking to you after event and also seeing you majestically power by after I had also tackled the steepy and stayed in saddle for the first time ever!! Just out of interest did you call it a day after that? Not to worry if that’s top secret, no need to answer in that case! I carried on into Lynmouth, rode up the hill to Lynton also in Saddle, took the cable car down to the disgruntlement of the driver who denied not liking cyclists! 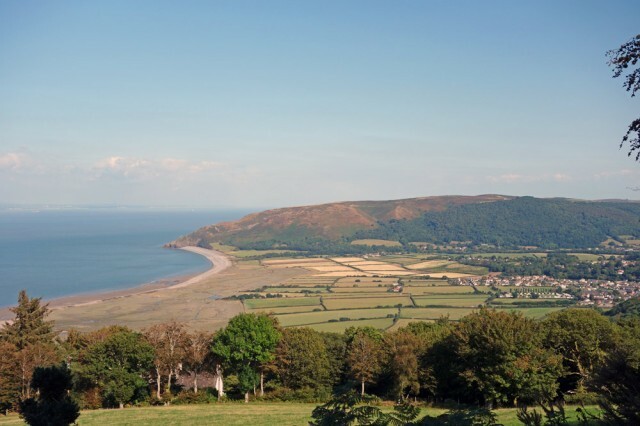 Then I got a bit carried away on the way back up Countisbury to my cost with a head wind all the way back to the top of Porlock. Descended the main hill for the first time ever! Now inspired to give it a go myself next year.